Superman takes the fight to Darkseid! This 12 1/2-inch tall statue will delight any true Superman fan. 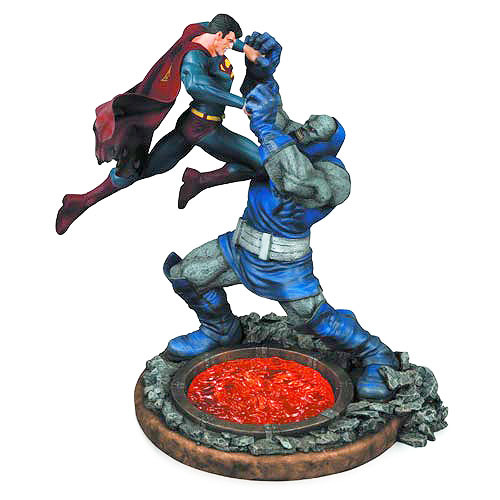 Superman takes the fight to Darkseid as they battle over the ever-raging fire pits of Apokolips in this astonishing Superman vs. Darkseid 2nd Edition 12 1/2-Inch Statue from DC Collectibles. Measuring approximately 12 1/2-inches tall, it''s a classic battle statue that''s sure to delight any true Superman fan. The 1st edition sold out very quickly, so don''t miss your shot at this action-packed 2nd edition! Ages 14 and up.